Don't let this opportunity pass you - BUY! This fantastic Lowry Bay townhouse could be yours to move into and start enjoying the beach life. Why not treat yourself to a lovely seaside community lifestyle in premium Lowry Bay, with beach and bush walks right at your door? 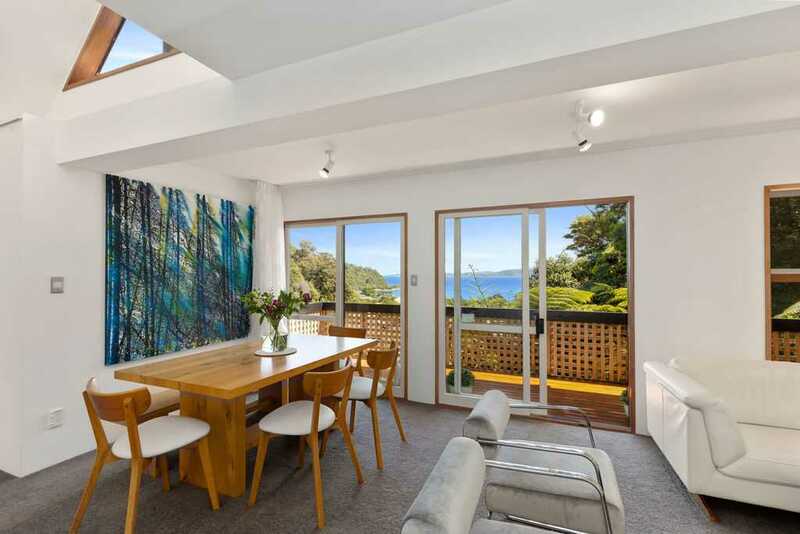 This 'New York Loft' apartment style home is clad in cedar and perfectly positioned for optimum sun, fantastic harbour views and stunning sunsets. Enjoy the tasteful decoration of open plan living, modern kitchen, 3 bedrooms and 2 bathrooms, with ample exterior decks, cleverly designed by renowned architect Peter Norton. Forget uptown Wellington traffic for good. The eastern bays have the lot. Relax and get away from it all in style. This really is essential viewing. Life is short - improve yours now by calling me today to arrange a viewing. My vendors have unconditionally purchased elsewhere, so a sold sign is required here! Building Report & LIM Available.